Kargo, the leader in mobile brand advertising, today announced a new strategic global partnership with Adelphic, the leading mobile and cross-channel demand side platform (DSP). The partnership enables Adelphic’s clients to purchase premium ad space through Kargo’s alliance of top publishers – including The New York Times, Hearst, and CBS Interactive – and reach more than 186 million consumers in the United States and United Kingdom. Together, Adelphic’s cross-channel audience insights and Kargo’s effective ad formats and mobile reach improve the accuracy and impact of each ad placement, which increases the return-on-investment for brands and agencies. Publishers within Kargo’s editorial alliance benefit by being able to engage with and sell advertising inventory directly to brands, rather than allowing the process to flow through third-party platforms like Facebook. Kargo is the only mobile advertising company that not only creates rich-media campaigns for more than 200 brands (including Unilever, Procter & Gamble, Verizon and L’Oréal) but also partners with a handpicked network of 70 top publishers (like The Wall Street Journal, NBC and Vox) — reaching an audience that rivals Facebook in terms of scale. Within the last 12 months, Kargo surpassed $100M in 2015 revenue, expanded internationally, was featured on the Inc. 500 for the second consecutive year (ascending from 405 to 336) and strengthened its executive team by adding top talent from technology giants like Apple, Google and AOL. To view this press release in its entirety, visit Business Wire. The post Kargo Partners with Adelphic to Bring Together Brands & Publishers to Improve Mobile Advertising ROI appeared first on Adelphic. Adelphic and Grapeshot on Thursday announced that ad buyers can now use Live Audience, Grapeshot’s pre-bid keyword targeting solution, via Adelphic’s mobile-first programmatic media solution, to reach live audiences. The integration with Adelphic, a mobile and cross-channel, demand-side platform (DSP), marks the first time Grapeshot’s technology is being made available in a mobile- first application. The keyword tech provider’s algorithm will work seamlessly with Adelphic’s Behavior Graph to allow brand safety controls and contextual targeting for marketers wherever they want to interact with their customers. Through the integration, Grapeshot’s algorithm interprets and categorizes the content audiences are consuming on individual mobile webpages and apps. It will work seamlessly within the Adelphic platform to ensure ads are displayed next to content that’s contextually relevant and brand safe across 29 languages, according to the companies. The goal is to improve targeting with a higher level of precision, reduce waste, and increase ROI, globally. The integration will enable brands and agency media buyers to create custom audience segments for individualized targeting or select Grapeshot’s standard audience segments for universal applications. These segments can be included or excluded in the forecasting and targeting products on Adelphic’s platform. For an even higher degree of brand safety, ad buyers can overlay Grapeshot’s whitelist or PG-Rated standard safety targeting to ensure campaigns run on safe inventory. The post Adelphic, Grapeshot Team For Live Audience Targeting, Brand Safety Too appeared first on Adelphic. Adelphic, the mobile and cross-device DSP, released on Wednesday a new cross-channel behavior-centric solution for its DSP. The new product, powered by “Behavior Graph,” is supported by Adelphic’s patented algorithm that tracks users across devices and measures various behaviors, learning from the data points over time. Previously used to track users on mobile, Adelphic’s user-identification algorithm is now applicable across networked devices. “We’ve seen a sh ift from channel-centric marketing strategies to more of a behavior-centric cross-channel approach, but technologies haven’t caught up. Behavior Graph aims to tackle that movement in the digital marketing landscape,” said Michael Collins, CEO of Adelphic. Behavior Graph connects devices, while also aligning consumer behaviors with those devices. The new behavioral data points are directly integrated into the existing user interface and are used for targeting across devices. “Tracking audiences across various devices allows behaviors on those channels to influence targeting strategy in an increasingly thorough fashion,” added Collins. Making sure audience identifiers are accurate across devices is becoming increasingly important to cross-channel ad buys — Adelphic is focused on making sure those are correctly reported so that consumer behaviors can be accurately built in to marketing strategies. Behavior Graph tracks users on desktop, tablets, connected TV and mobile phones. The post Adelphic Adds Behavior-Centric Cross-Channel Solution To Its DSP appeared first on Adelphic. 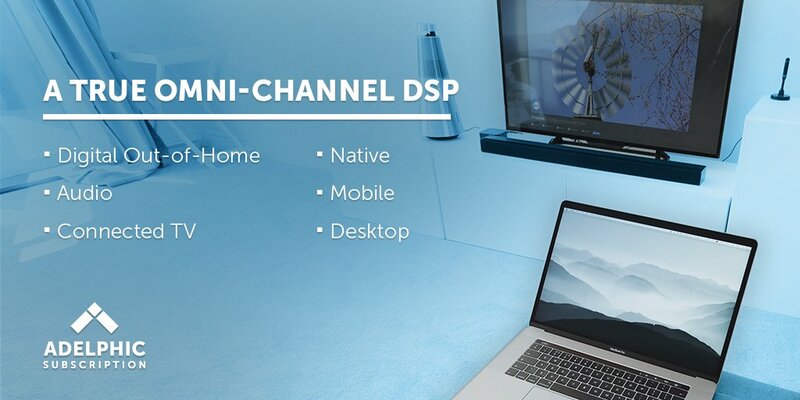 WALTHAM, MASS – August 17, 2016 – Adelphic, the leading mobile and cross-channel demand side platform (DSP), today unveiled the first behavior-centric cross-channel solution for ad buyers’ single or multi-channel campaigns. Integrated into Adelphic’s mobile-first DSP, the suite enables brand marketers and agency ad buyers to identify and engage consumers across channels through superior targeting and real-time decisioning, driving relevance, scale and performance. At the heart of this cross-channel solution is Adelphic’s Behavior Graph™, which provides insights not only into a consumer’s multiple devices, but also into behaviors in the channels where the devices are used, providing a much richer data set to drive campaign performance than could be provided by device knowledge alone. Marketers can also seamlessly onboard and incorporate their first-party audience data including cookies, device IDs, campaign events and remarketing pools, which are then matched with Adelphic’s data in order to deliver a personalized consumer experience. The solution also enables marketers to connect and target audiences across devices including desktop, tablets, connected TV and mobile phones, with frequency and sequencing controlled globally due to the application of Adelphic’s ^tagTM (“a-tag”) universal identifier. Adelphic was issued the patent for user identification on networked devices in 2013. 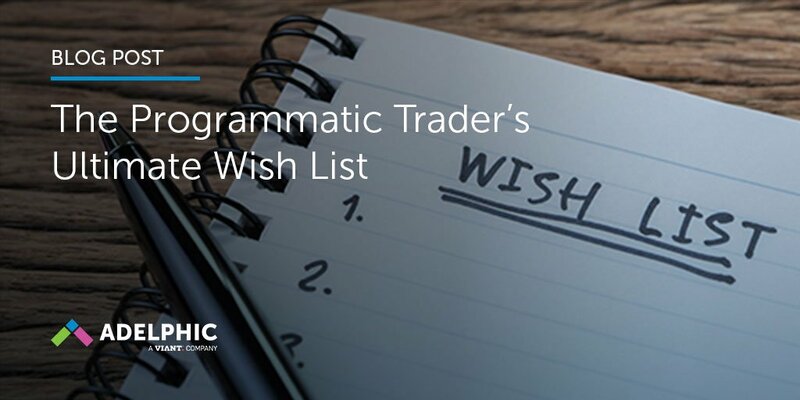 Equipped with forecasting, reporting and optimization tools, Adelphic’s cross-channel solution provides ad buyers with the insights necessary to make the most of their ad spend. Adelphic is the leading mobile and cross-device demand side platform that unlocks audience behaviors and empower brands to activate on those insights. The company’s enterprise-ready software solutions for agencies, brands and other large media buyers provides meaningful engagements with consumers on the move. Adelphic’s science-based approach analyzes and creates decisions on the most relevant signals, regardless of fidelity. Fully RTB enabled. Adelphic’s patented technology overcomes the limitations of user identification in mobile and across networked devices, yielding rich, nuanced portraits of real consumers. Founded in 2011, Adelphic is funded by Matrix Partners, Blue Chip Venture Company and Google Ventures. For more information, visit adelphic.com. The post Adelphic Launches First Behavior-Centric Cross-Channel Programmatic Ad Solution appeared first on Adelphic.